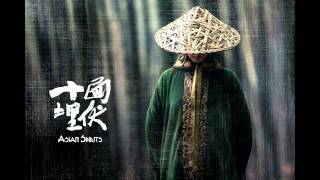 ‘Your Collar’, a haunting, romantic song from the imperial music of the Han Dynasty ... Plus, bonus music films ... 'I'm right here, where are you', sung by Alu Azhou and the Mountain Wind Group 阿鲁阿卓, 山风组合 生如夏花. Inspired by Stray Birds by famous Indian poet Rabindranath Tagore, 1916 (生如夏花之绚烂，死如秋叶之静美 --飞鸟集, 泰戈尔, 1916). 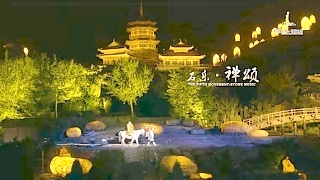 Lyrics and Music by PU Shu (朴树). 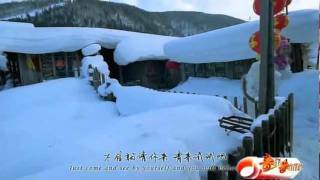 "In this life, we can not stay so long ..." Plus Song of the Surging Water - title song of the 2015 movie Wolf Totem 汪峰 沧浪之歌（《狼图腾》主题曲）. 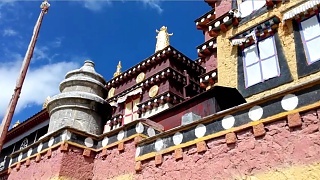 Sung by Wang Feng. 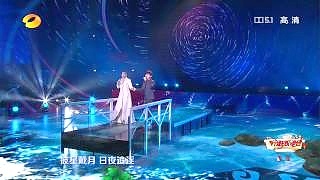 Lyrics by WANG Feng (汪峰); music by Adam HUANG (HUANG Yong, 黄勇); with Alianuul (Morin Khuur solo) and NING FangLiang (violin solo). "I am broken, but I love flying ..." 鄧紫棋 G.E.M. 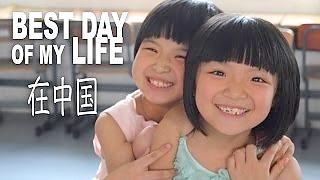 - 存在_我是歌手第二季 (2014年1月10日) (Life is like a) Na Ying, Warm Spring with Blooming Flowers 春暖花开 (when I am with you) ... Wang Feng song, 'I love you, China' 我爱你 中国 (Wo Ai Ni, Zhong Guo) from the CCTV New Year Gala ... If you can, please support this site with a donation; it really does help us keep going ... Thank you from the BeijingBuzzz team ! 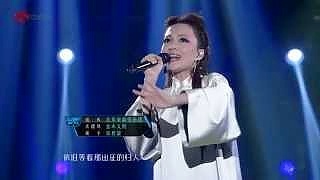 Our third and final post on the 4th series of the Voice of China - surprise edition ; ) Includes : Lin Yan (林燕) - "别来纠缠我" (Don't Pester Me) Zhang Xin (张新) - "Fallin'" 21:14 Zhu Ke (朱克) - "离不开你" (Can't Leave You) 24:08 SaYa Chang (张惠春) - "怎么说我不爱你" (How Can You Say I Don't Love You) 27:31 Li ZhiXian (李致贤) & Chyi Chin (齐秦) - "火柴天堂" (Matchstick Heaven) and more ... Much more music : click here ! 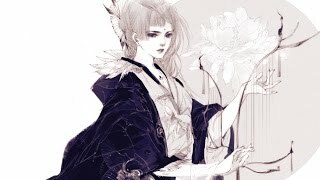 A new collection of songs / auditions from the wonderful Voice of China. 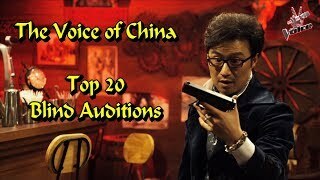 With 2017 (series 4) judges Wang Feng, Na Ying, Harlem Yu and Jay Chou; plus a few songs from series 2 and 3 ... 00:01 The Voice of China 4 Trailer (Wang Feng, Na Ying, Harlem Yu & Jay Chou) 01:38 Chen Bing (陈冰) - "盛夏光年" (Eternal Summer) [S03] 04:45 Bek (别日克) - "Volare" [S04] 08:08 Zhou Shen (周深) - "欢颜" (Your Smiling Face) [S03] 11:34 Zhang Dandan (张丹丹) - "爱是一颗幸福的子弹" (Love Is A Happy Bullet) [S03] 15:00 Lin Yan (林燕) - "别来纠缠我" (Don't Pester Me) [S04] 18:39 Zhang Xin (张新) - "Fallin'" [S02] 21:14 Zhu Ke (朱克) - "离不开你" (Can't Leave You) [S02] 24:08 Saya Chang (张惠春) - "怎么说我不爱你" (How Can You Say I Don't Love You) [S04] 27:31 Li Zhixian (李致贤) & Chyi Chin (齐秦) - "火柴天堂" (Matchstick Heaven) [S03] 29:35 Bei Bei (贝贝) - "花火" (Fireworks) [S04] *** BeijingBuzzz Top Choice 33:16 Will Jay (刘伟男) - "Lemon Tree" [S04] 37:03 Rocky Chan (陈乐基) - "月半小夜曲" (Half Moon Serenade) [S03] 40:35 Jóhannes Koo (古振邦) - "Say Something" [S04] 44:27 Abigail Garza (李安安) - "I Surrender" [S04] 48:39 Lotus Zhang (张姝) - "一起摇摆" (Let's Rock) [S04] 52:26 Zhao Han (赵晗) - "煎熬" (Torment) [S02] 55:52 Cui Tianqi (崔天琪) - "Mad World" [S02] 58:59 Li Wenhui (李文慧) - "Yellow" [S04] 1:03:04 Tan Xuanyuan (谭轩辕) - "Sill Loving You" [S04] 1:06:24 Zhang Jingyi (张婧懿) - "玫瑰" (Rose) [S03] 1:09:47 Yao Beina (姚贝娜) - "也许明天" (Maybe Tomorrow) [S02], July 2013 ### 1:13:11 Taskyn (塔斯肯) - "Dudarai" (Дударай) [S02] ### Yao Beina (aka Bella Yao), 姚贝娜, 26 September 1981 – 16 January 2015 (aged 33; breast cancer). Among much more, she sang in the CCTV Spring Festival Gala twice, and the pop version of Let It Go in the Disney film Frozen for the Mandarin Chinese dub when the film was released in China. Read more ... It's been a while, but here is over 2 hours of great music. 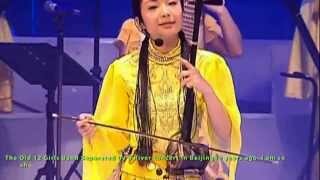 Sung by Alu Azhou and the Mountain Wind Group 阿鲁阿卓, 山风组合 生如夏花. Inspired by Stray Birds by famous Indian poet Rabindranath Tagore, 1916 (生如夏花之绚烂，死如秋叶之静美 --飞鸟集, 泰戈尔, 1916). Lyrics and Music by PU Shu (朴树). 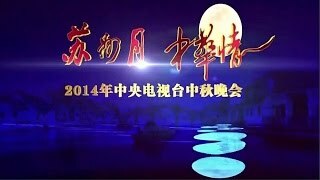 "In this life, we can not stay so long ..." Plus Song of the Surging Water - title song of the 2015 movie Wolf Totem 汪峰 沧浪之歌（《狼图腾》主题曲）. Sung by Wang Feng. 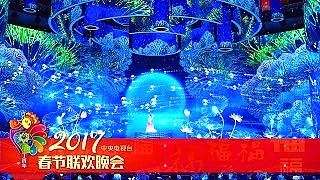 Lyrics by WANG Feng (汪峰); music by Adam HUANG (HUANG Yong, 黄勇); with Alianuul (Morin Khuur solo) and NING FangLiang (violin solo). "I am broken, but I love flying ..." 鄧紫棋 G.E.M. 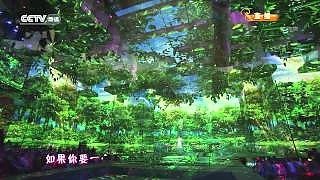 - 存在_我是歌手第二季 (2014年1月10日) ‘Your Collar’, a haunting, romantic song from the imperial music of the Han Dynasty ... (Life is like a) Warm Spring with Blooming Flowers 春暖花开 (when I am with you) ... Wang Feng song, 'I love you, China' 我爱你 中国 (Wo Ai Ni, Zhong Guo) from the CCTV New Year Gala ... If you can, please support this site with a donation; it really does help us keep going ... Thank you from the BeijingBuzzz team ! Born in TianMen, near ZhangJiaJie (think of the movie Avatar), HuBei province, she became interested in the guitar and started lessons at age six, with a penchant for heavy metal ! PinXi made her public debut in October 2015, at the China (ShangHai) Musical Instruments Exhibition, invited by the JOYO company as a guest performer; this is the first clip seen here - playing Cross-Ozielzinho. This montage also includes 'Angel of Darkness' by Andy James (age 9; PinXi, not Andy ;). Don't miss it ... Her favorite quote : Believe in yourself. PinXi exhibits that no-hesitation / no force expression strived for in the finest calligraphy, in which the hand and brush are as one. In Chinese this is known as Wu Wei or Wu Wei Wu - loosely translatable as action without effort. Starting with 'Listen', 'Feeling Good', 'At Last' and 'Something's got a hold on me'. 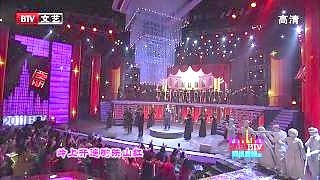 Plus 'Price tag', 'Time to say goodbye', '(Does that make me) Crazy', 'She's gone' and 'What a wonderful world', plus some classic Chinese songs. Not to be missed ... "It wasn't because I didn't know that much ... It was just I knew TOO much ... Does that make me crazy ... ??" Excerpt, including '(I'm your) Venus (I'm your fire)', plus Chris Lee with 'Let Me Grow' ... The full 4 hour show, starting with a set by Jane Zhang. It's a 'who's who' of contemporary Chinese popular music ... If you can, please help us with a donation, via embed-videos.com - see the top of the sidebar on the right. Thank you from the BeijingBuzzz team ! 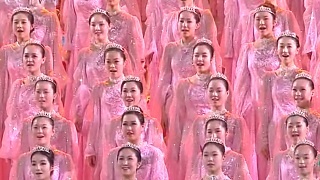 Starting with 'Now you're in Beijing (commie jungle mix)', music video. Plus Beijing's popular attractions, a trip to the blue sky city, QianHai Lake (in central Beijing), the BeiJing to ShangHai sleeper train, and The Forbidden City (documentary; in English) bonus films ... 'Now you're in Beijing ...' - think about it - you're in Beijing, China - it might be different but that is here and not there; sure some things could be better - such as rights and protections for migrant workers, but Rome wasn't built in a day, as they say. A few words on the Hu JinTao / Wen JiaBao era - definately one of China's most successful jumps forward; a major rise in prosperity for all, the growth of great infrastructure, such as the high-speed rail system, and much more, the Beijing Olympics, the Shanghai World Expo, space exploration, and the list goes on ... A happy retirement to two leaders who helped guide China back to greatness ! Mao ZeDong unified the country and helped defeat the Japanese invaders, and for that is a national hero. But things didn't go so well subsequently and on his death the 'Gang of Four' were arrested and China took a new path, though slowly at first following the courageous efforts of Deng XiaoPing. But it was not until circa 1990 that China really began to take off. So its rise to greatness, once more, is remarkable for having been achieved, from so little, in just 25 years. Obviously, they have done most things very right. But only one you ... True beauty is a pure heart. - A Mike Batt song, sung by Katie Melua. 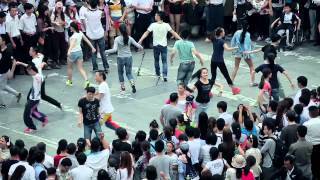 The Song : Mother in my dream (梦中的额吉) Hear once, never forget ... 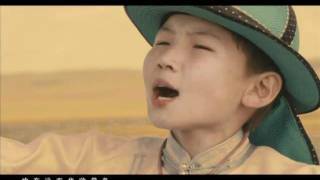 Songs from the north China grasslands and big sky nature haven Uudam is a 13 year old singer from Inner Mongolia. 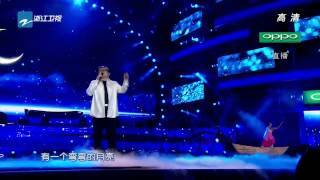 He reached the final of "China's Got Talent" in 2011. 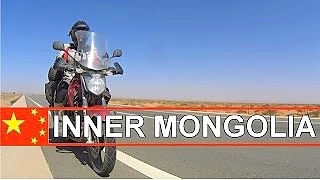 This traditional Mongolian folk song is dedicated to his mother whom he lost at 8 (he also lost his father when 10). Do not pick such pretty flower she does not want to leave her motherland Dear mom you hold my hand whisper about it's secret wishes You are so far away, my mom but you hold my hand in my dream Blowing wind and sand covered my eyes yet I want to hear from my mom Where are you? My dear mom Wish you would kiss me softly You are so far away, my mom but you kiss my cheek in my dream. You want me as brave as an eagle in the sky You make me strong like flowers in the wind When I march forward with my head high I know that you accompany at my side My dear mom in distance You hold me tight in my dream. 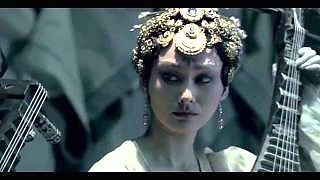 The Song : My Three Precious (吉祥三宝) The composer and lyric writer is Bu Ren Ba Ya Er, who is a song writer, singer and an Inner Mongolian TV commentator. He composed the song as a birthday gift to his three-year old daughter. His daughter learned the ballad very quickly and the family began to sing it on various occasions. The inspiration came from his daughter’s fascination about life and nature - she would always ask many questions. It is a celebration of happy family life. 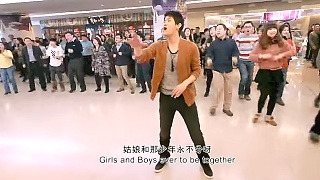 This TV appearance is around ten years after the song first became a huge hit in China. Daughter: Papa Dad: Yeah Daughter: Does the moon go home after the sun’s rising? Dad: Oh, yep Daughter: Then where is the sun after stars’ appearing? Dad: Oh, in the sky Daughter: But why can’t I find them? Dad: Oh, they’ve all gone home Chorus：The sun, the star and the moon, what a happy family they three are! Daughter：Mama Mum: Yeah Daughter: When will the flowers bloom since the leaves are green? Mum: Oh, in summer Daughter: Can we pick the fruits since the flowers are red? Mum: Oh, in autumn Daughter: Will the seeds bud when they are planted? Mum: Oh, they will grow Chorus：The flower, the leaf and the fruit, what a happy family they three are! Dad & Mum：Honey Daughter: Yep Dad & Mum：Papa is like the sun shining on Mama Daughter: How about Mama Dad & Mum：Mama is like the leaves holding up the flowers Daughter: Then me Dad & Mum：You are just like the budding seed Daughter: Oh, yep Chorus: What a happy family we three are!